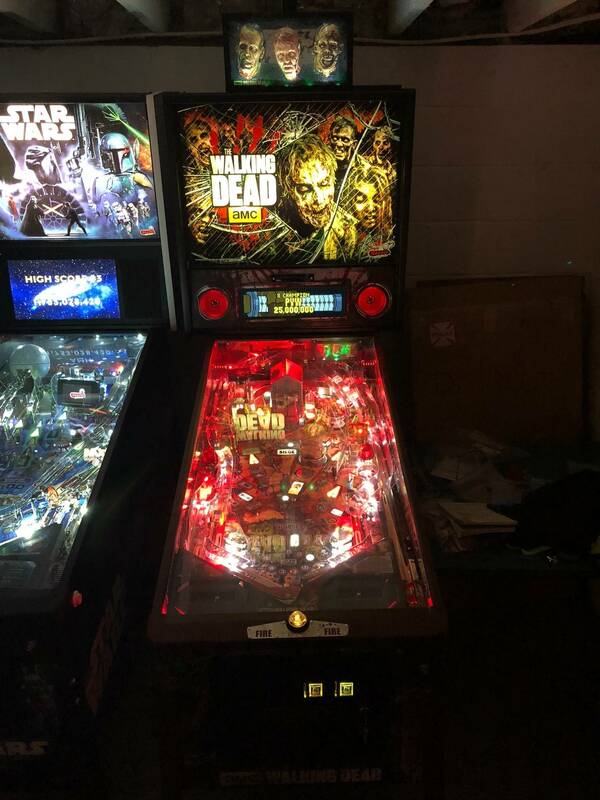 » Forum » All Pinball » What’s the most expensive pin you’ve ever purchased? » What’s the most expensive pin you’ve ever purchased? What’s the most expensive pin you’ve ever purchased? There have been 19 images uploaded to this topic. (View topic image gallery). There are 139 posts in this topic. You are on page 3 of 3.
coz what’s your most expensive game? DI? Space Shuttle - $425 and an arcade game with a dead monitor I paid $75 for. Mousin' Around - $550 Facebook Marketplace - dirty but working 100%. Cleaned up great! Laser War - Traded a BurgerTime that I got in a trade for a Space Duel that I paid $400 for. 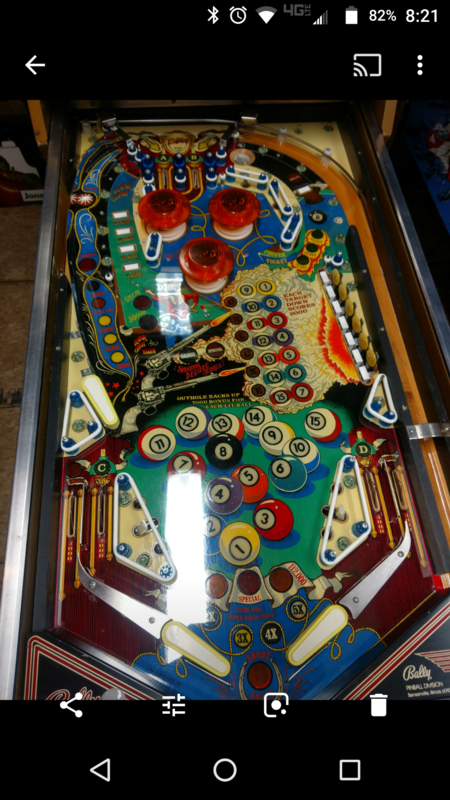 Flash - $400 Facebook Marketplace - "non working" (blown fuse and no ball in it...). Taxi - Traded a High Speed that I got in a trade for a Silver Strike Bowling that I paid $300 for. 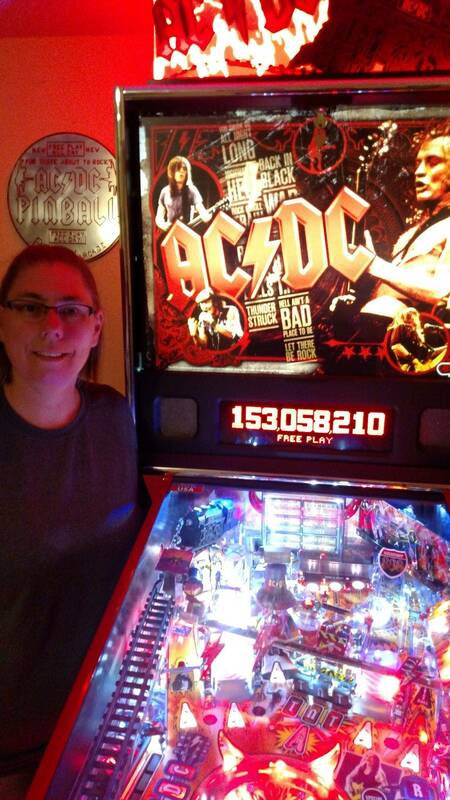 I have paid over $2k a couple times for EM arcade games but my all time high pinball was $1377 for a R&B. Being an EM guy I thought I was really stepping up at the time. I usually pay $500 or less for EM projects. It was fun and don't regret it one bit. Sold it for $1500. Like a lot of them I miss it a little. ... I think he's just waxing it..
Yeah had just finished a full shop... Was going back together with it. It was complete upon purchase. 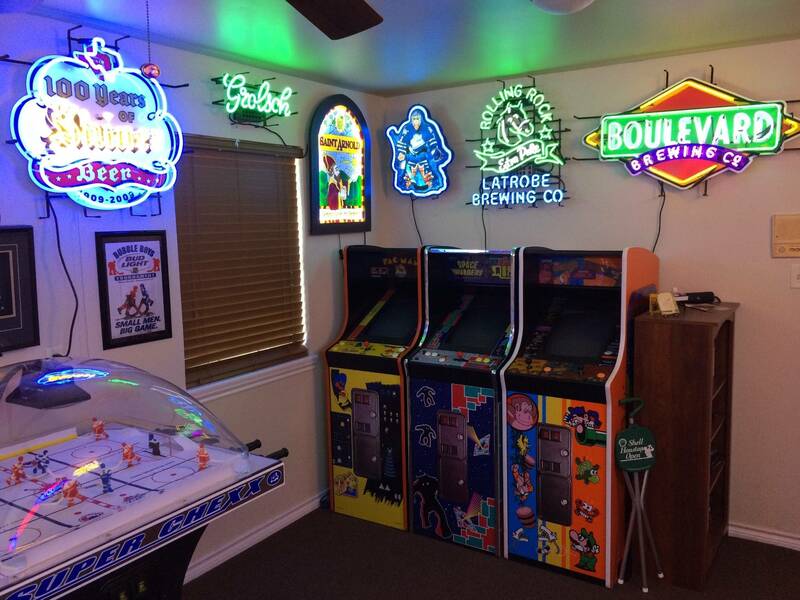 Original playfeild and plastics. Definitely a survivor. Paid way more than Iiked to for NIB GBLE at $12k The movie was a real big part of my childhood and upbringing so it was a must have. 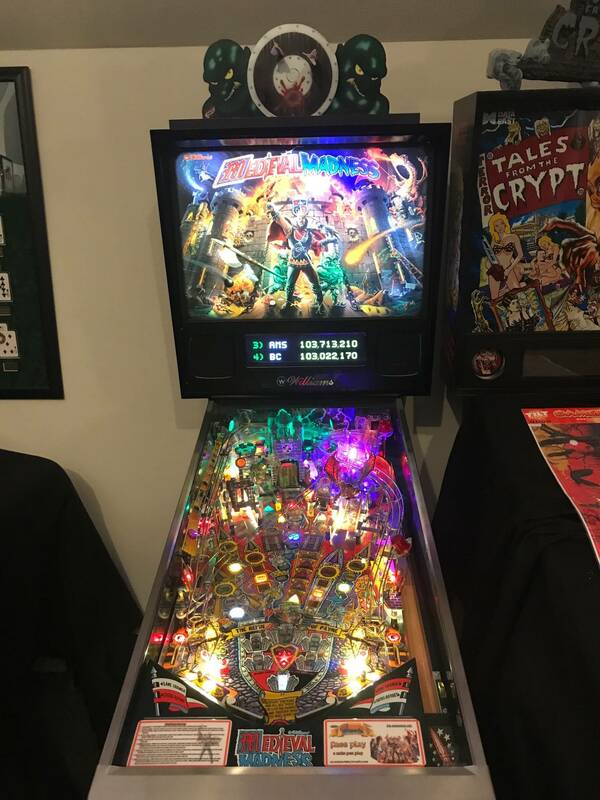 Most I have ever paid was $14k for very nice Tron LE. Not even really my thing, but my wife is into it and Im not saying no to another pin. 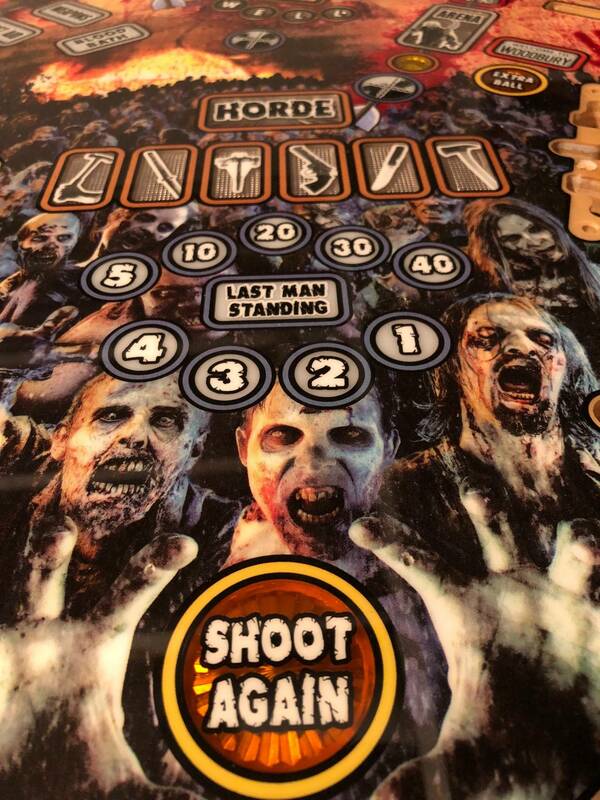 All in all 15k is my limit on any pin. Wont ever pay more than that and I really want TBL. 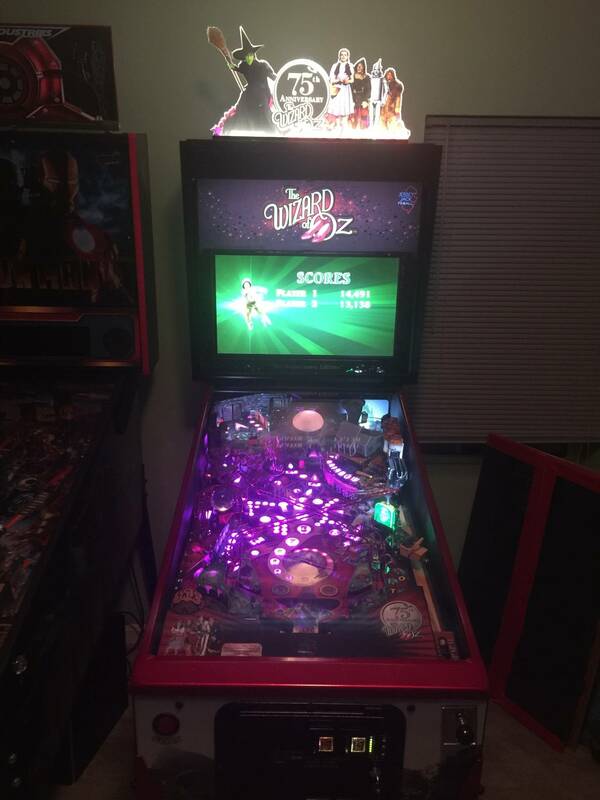 Wozecle $6500, then RRWoz 2.0 $9500... may have been closer to 10k shipped but still happy to have it! The most expensive pin I ever bought was the first one. Only because that led to me buying a bunch more. Remind me to hit this guy up when I start selling stuff lol....holy F!!!! Bought my Apollo 13 for 2400€ and my Black Knight as a trade in. Not an insanely high price but worth every penny. 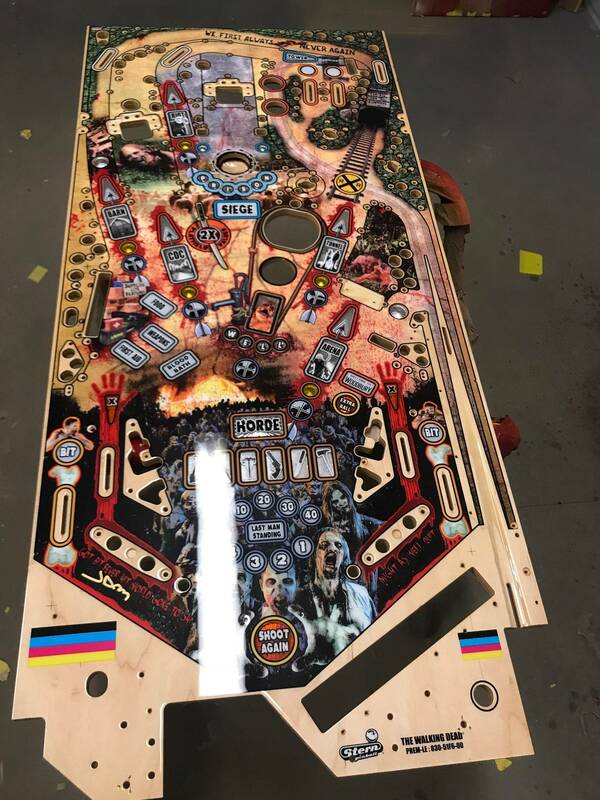 I wanna note that my second most expensive pin weighs in at 1400€ for a hook with two playfields, 3 almost complete plastic and ramp sets plus new decals. TOTAN with complete restored pf and all brassed out. New wiring and color DMD. Love it. No regrets. And looks amazing. Changed the base on the spinning lamp from red to purple, but it didn't/hasn't needed a thing since. Based on sales I've become aware of over the years, the prices in this thread seem mostly in the high modest range to me. I'm wondering if some people are not commenting and their reasons? I’m sure those with BM66 SLE folks are not. Its an embarrasment of riches. Put simply. WOZ @ 6500 and said it would be the limit and now Houdini at 7k.... No self control I guess, Happy I did it though. Your Medieval Madness trade we did was the most I (spent) traded for. And it was short lived. Dont regrett it. got a star trek premium and cash for it in the end. I got bored with mm way too fast. Bought a remake BBB for 16.5k before upgrades were added. Had so much in it I was spooked to play it. Well that and concerns about replacement parts. 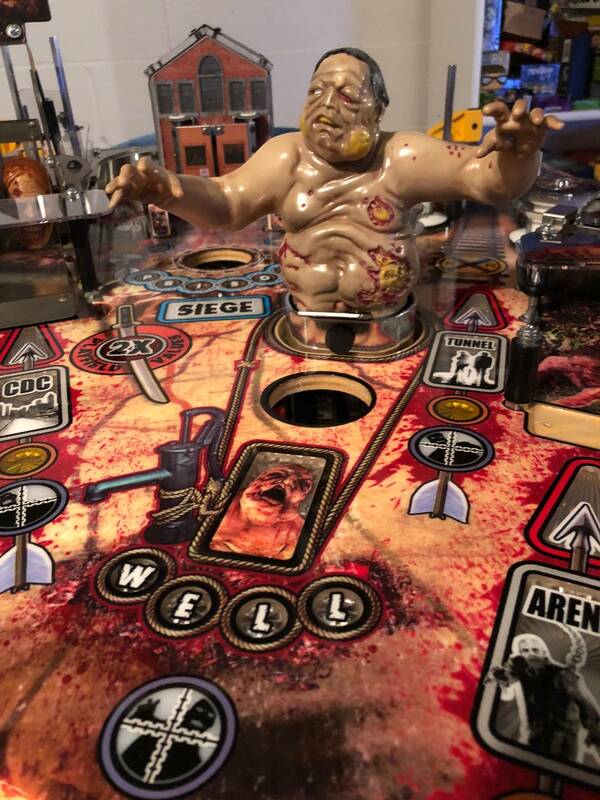 Lovely game BBB was, unfortunately she didn't last long enough ... My max threshhold for buying a pin was immediately lowered to 10k, where it proudly still stands as a mile high wall that I cannot pass through. I see you’ve downsized your collection. 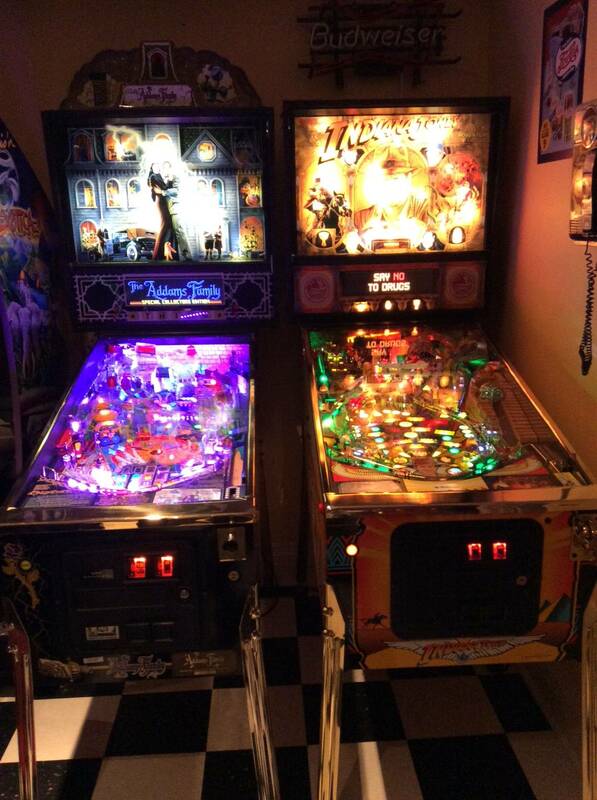 That’s the beauty of this hobby, play a pin for a while and then sell or trade when you’re tired of it. $1800.00 for a Scared Stiff from Betson West. "When I die, please don't let my wife sell my **it for what I told her I paid for it." I paid 18k for the nicest BBB i had ever seen. 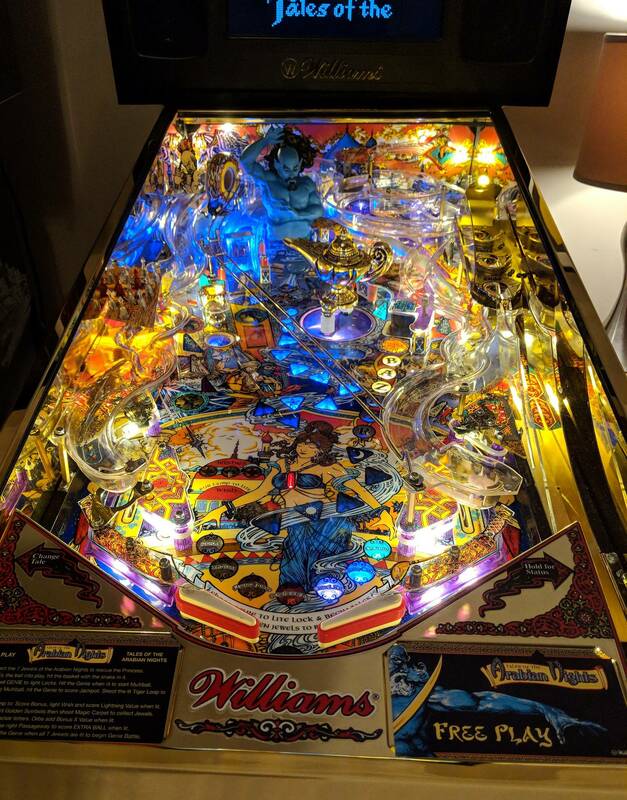 Bought a Joust recently that was fully restored and also costed quite a bit (especially with travel costs to Canada and back). Wife has me on lockdown for awhile. 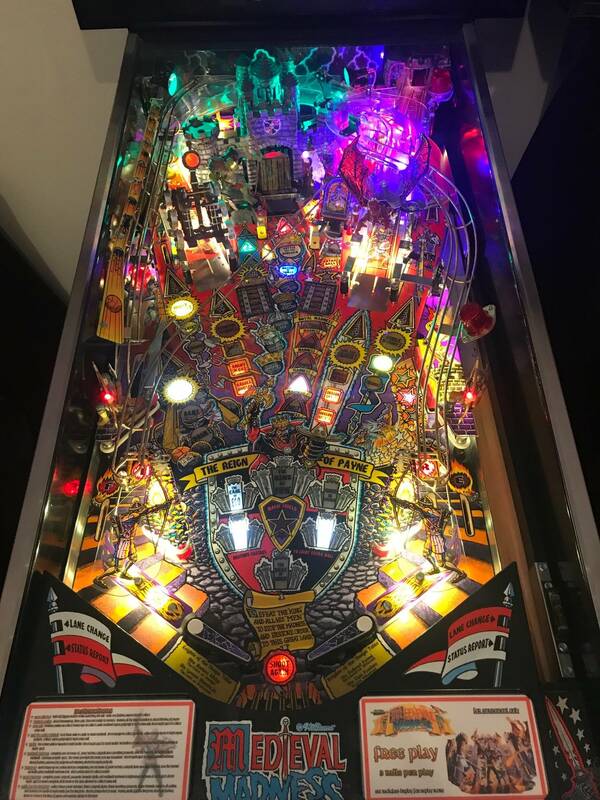 I played the pin almost 20 years ago for the first time as a kid when my grandma dumped me in the arcade at Grand Casino in Biloxi. Watched them dip down to about a low of $3k over my years of watching ebay but could never swing the money. FFW and I Finally got to a point I could afford it. What year? We have to convert to $2018. Paid $12,990 AUD (approx $9,700 USD) for our AFMR LE in September 2017. I just bought a Big Lebowski recently. Paid a crazy amount. No regrets. Such a shame more of these weren't cranked out. Love it. Because of fluctuating exchange rates, hard for me to say, but it's a close race between The Hobbit SE and Alien Prototype. Having been in this hobby over 30 years it's quite astounding to me what these games are worth today, I guess I'm lucky as the law of averaging has been on my side. 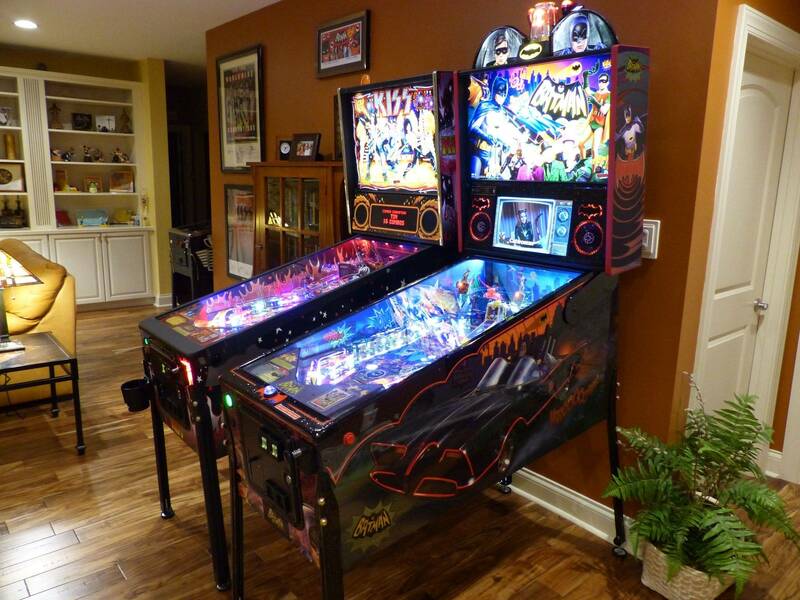 Metallica and KISS Pros NIB from Cointaker were $4700 each. Guns N Roses was $5000. That’s my max I’ll ever pay for a game. I thought about getting a Luci, but they’re just too much. 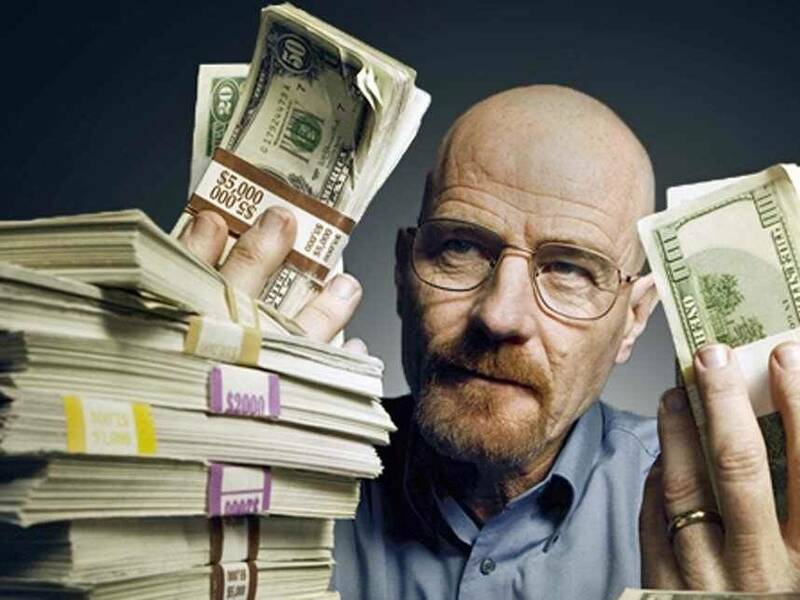 The most cash I paid at one time was $3500 for CFTBL and TOM. Most I ever spent on one machine was probably around $2400 for RFM. 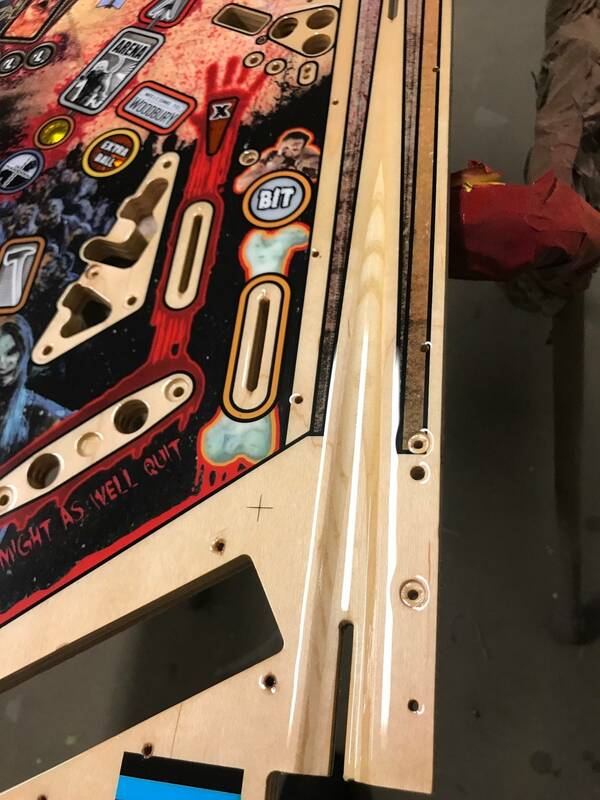 WHITE WATER Pinball - ARTWORK MATCHING Lane Guide DECAL MOD!